Akiva J. Goldsman from Walker Valley, New York is an American screenwriter and film producer. He received an Academy Award for Best Adapted Screenplay for the 2001 film, A Beautiful Mind, which also won the Oscar for Best Picture. Goldsman has been involved specifically with Hollywood films. His filmography includes the films A Beautiful Mind, I am Legend and Cinderella Man, as well as more serious dramas, and numerous rewrites both credited and uncredited. In 2006 Goldsman re-teamed with A Beautiful Mind director Ron Howard for a high profile project, adapting Dan Brown's novel The Da Vinci Code for Howard's much-anticipated film version, receiving mixed reviews for his work. Goldsman currently writes and directs selected episodes of the FOX science-fiction horror series Fringe. Akiva Goldsman was born in New York City on July 7, 1962 to Tev Goldsman, a therapist, and Mira Rothenberg, a child psychologist. Both parents ran a group home for emotionally disturbed children. Goldsman's parents were occupied with their work, and Goldsman said, "By the time I was 10 or 12, I realized they had taken my parents away from me. I wanted nothing more to do with that world. I wanted to be a writer. I had a fantasy that someday I'd see my name on a book." In 1983, Goldsman attended Wesleyan University in Middletown, Connecticut. After graduation, Goldsman studied creative writing at New York University. He began writing screenplays, and in 1994, he wrote the screenplay that would become the film Silent Fall. Afterward, director Joel Schumacher hired Goldsman to write The Client. 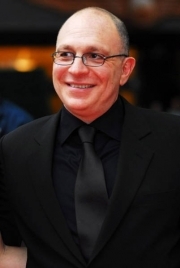 In the late 1990s, Akiva Goldsman wrote screenplays for A Time to Kill and Batman & Robin, which were considered subpar quality and got him nominated for the Golden Raspberry Awards. Goldsman came to the realization, "I sort of got lost. I was writing away from what I knew. It's a little like a cat chasing its tail. Once you start making movies that are less than satisfying, you start to lose your opportunity to make the satisfying ones. People are not serving them up to you, saying, 'You're the guy we want for this.'" Goldsman appealed to producer Brian Grazer to write the screenplay for A Beautiful Mind and ultimately won an Academy Award for Writing Adapted Screenplay. The star of A Beautiful Mind, Russell Crowe, later invited Goldsman and director Ron Howard to film Cinderella Man, and Goldsman wrote the film's screenplay. Goldsman has served as a Consulting producer on the FOX TV series Fringe since 2009, and, at times, has written and directed episodes, including, "Bad Dreams", "The Road Not Taken", "There's More Than One of Everything", "A New Day in the Old Town", "Peter", "Brown Betty", "Over There", "Subject 13", "Stowaway", "Lysergic Acid Diethylamide", "The Day We Died", "Neither Here Nor There", and "Subject 9". In 2009, he signed on to co-produce the Warner Bros. film adaptation of the British television series Primeval. On April 6, 2010 it was announced that he will produce a PG-13 remake of the Troma cult film The Toxic Avenger. On September 8, 2010 it was announced that he will write the first season of the television series based on the novels of Stephen King's The Dark Tower series. Goldsman's second wife, film producer Rebecca Spikings-Goldsman, died of a heart attack on July 6, 2010, at the age of 42. Whole or part of the information contained in this card come from the Wikipedia article "Akiva Goldsman", licensed under CC-BY-SA full list of contributors here.